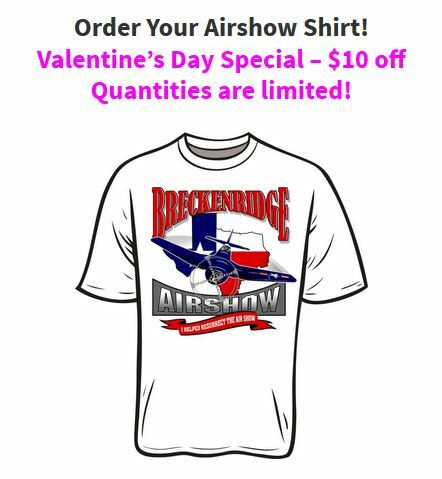 For a very limited time, you can get $10 off your Breckenridge Airshow shirt! Quantities are limited, so don’t delay! All proceeds support the resurrection of the historic Breckenridge Airshow. I am working with the Breckenridge Chamber of Commerce on the airshow web page, t-shirt sales, etc. Be sure to join us at the airshow on May 28th, 2017 in Breckenridge, Texas!